Alongside Surface Pro 6, Microsoft has officially announced the new Surface Laptop 2 today. Just like its convertible sibling, this particular Surface model which offers a more traditional notebook experience has also been equipped with new processors. For the 2018 model, customers will be able to obtain it with either 8th Gen Intel Core i5 or Core i7 processor. As opposed to its predecessor which was launched last year but only made it to Malaysia in March 2018, the amount of RAM on Surface Laptop 2 now starts at 8GB instead of 4GB although still maxed out at 16GB. 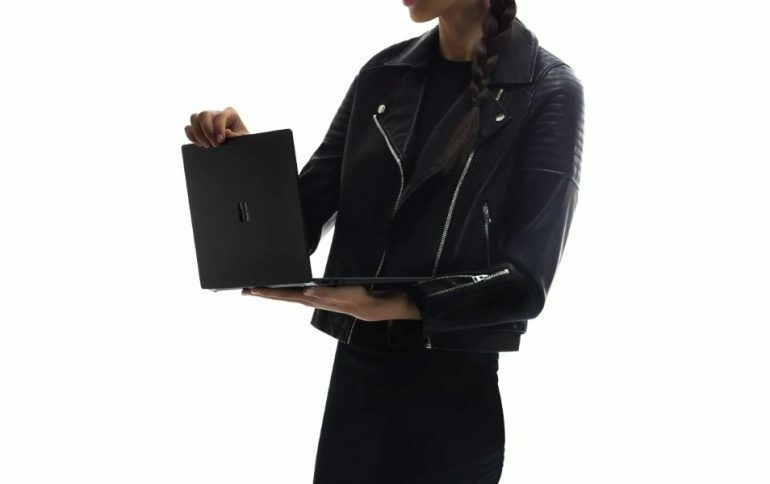 In addition to that, the Surface Laptop 2 also marks the arrival of new colorway – Black – to the series although this comes at the expense of Graphite Gold which is not being offered for the 2018 model. Microsoft has also stated that the keyboard on Surface Laptop 2 is faster and quieter than its 2017 predecessor. Other than that, the rest of the notebook are pretty much identical to the original Surface Laptop including the rumored absence of USB Type-C port. The 2018 Surface Laptop 2 is now available for pre-order in the United States for USD 999 (about RM 4138) onwards but its availability in Malaysia has not been revealed by Microsoft at the moment.